agreed on the treatment of maid, but I guess the time that book is written things were like that! It’s a great one, isn’t it? 🙂 Yes, that’s the downside of these older books but if all the rest is good I can usually cope with the outdated attitudes. This is one of my favourite Christie novels–one of the few that I’ve read more than once. I very rarely guess the solution to a Christie novel, but I normally get somewhere near before I’m thrown off by a red herring – this one completely and totally stumped me the first time I read it! Using newspaper delivery to introduce characters to readers couldn’t have been more ingenious. I have not read this one yet. My plan to read Christie in order of publication is currently on the backburner, and I need to revive the self-induced reading challenge. One for my list it would seem especially as I probably didn’t read this because it was Miss Marple. One of the things I enjoy most about rereading the AC novels is the views from the time although as you point out sometimes they aren’t as pleasant as we would hope. I really liked this one too. The murderer was very hard to guess, and I loved how ingenious the plot was. Love this one! Miss Marple has always been a favorite. Though I didn’t like some of the TV adaptations that stuck her in stories she was not in, just to fill a season. But I love the books she really was in. I think that’s mainly why I liked the Joan Hickson versions – they tend to stick much more closely to the actual books. Some of the later adaptations should be banned by law… grrr! How did I miss this one? I so admire Christie’s skill (particularly at plotting) and have lately devoured many of her works. Guess I’d better add this one to my TBR, drat! Nice to end the week on a high note, FF. Now go have a slice of chocolate cake and a wonderful weekend! Her plotting is second to none in my opinion, and though sometimes the methods can stretch credulity a bit, I always find the motives very believable, and often quite moving. This is one of her best, I think – enjoy! Have a great weekend, Debbie! 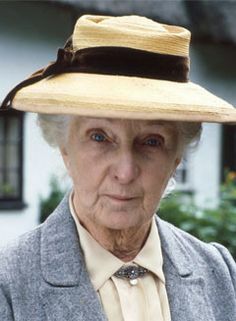 Joan Hickson was always the perfect television Miss Marple for me. I hadn’t thought about listening to these as audiobooks but if she is narrating then then I shall have to get hold of a copy. I reread this just before Christmas, it’s always been a favourite. I really like this one! Agree about Mitzi though. I can’t remember if it’s in the original book but certainly in the Hickson adaptation Miss Marple sticks up for Mitzi when Bunny says “She screams” and Miss Marple benignly replies “Well, it’s a sign of life.” Hickson’s deadpan delivery always raises a smile with me at this point! Ha! I already can’t remember if that’s in the book – my dreadful memory is the main reason I can re-read books so often, though, so I don’t mind! Miss Blacklock recognises that they’re all a bit harsh to her at one point, but then immediately goes back to being dismissive. But otherwise I do love this one – great plot! I liked the televised version of this mystery and was taken aback when you said marple rather than poirot! I have sought out everything christie available on netflix, including all three miss marples ( my favorite is the curly haired one. I found joan hicks rather imposing and cold, perhaps because im American. ). So at a distance of three years since last viewing i cant remember who the sleuth was in A Murder is Announced! Embarrassing. I guess ill have to watch them all again, and maybe i’ll slide in a book or two along the way. Has anyone seen the latest murder on the orient express movie? And if so what are your reviews? Thanks again for a great review! I’ve always rather enjoyed this one – I thought it was quite a good satire of small-minded English society (and perhaps the treatment of Mitzi is to be understood in this context). Besides, I’ve had more than my share of comments that I am too loud, too hysterical, too melodramatic, too convoluted etc. etc. because I am foreign. (While, of course, on the Continent, everyone thinks I am such a perfect English lady). I don’t think that kind of ‘generalisation’ or stereotyping has gone away. Ha! I think you’re right! Even as a Glaswegian living in London, I got very tired of ‘drunk’ and ‘mean’ jokes, or the constant references to Braveheart which seemed to be as much as most of my English friends knew about Scottish ‘history’… 😉 But in this book I think it always startles me a bit because she gives such kind characterisations to a lot of the others – something she doesn’t always do. I still have most of the Miss Marples to read, including this one, as they never seem to appeal to me as much as Christie’s other books. You’ve made this sound great though, so I think I’ll have to move it further up the TBR. Thanks for not giving anything away! Haven’t read this one, but it sounds delightful. I also love the fact that Mrs.Blacklock has no idea what’s been planned, but being polite is of utmost importance so she sets out some beverages anyway. Sometimes I feel like we’ve lost way too many of our manners over the decades 🙂 It can’t be a murder party without some snacks! I’m going to have to look out for these in the library because I love love Joan Hickson. We have a box DVD set of those Marple’s and thiugh we’ve watched them so much I can practically act certain parts I still enjoy them. Ooh, good luck! I hope you found them! What a pity! Maybe Audible don’t make their recording available via libraries. I might be able to send you it if you’d like. Audible have a marketing feature where people can send a book to a non-member (obviously to try to tempt them to join up, but you don’t have to). Each person can only get one book though, so the first question is, have you ever received a free book from Audible from anyone else? If the answer’s no, then the second question is, do you have an Amazon/Audible account? You’ll need one to access the book. If so, and you’d like to try it, send me your email address and I’ll send you the book. My email address is fictionfan@virginmedia.com. Once you get it, it tells you what to do, but basically you download the Audible app and it should appear as if by magic. Someone sent me a book and it worked perfectly, and no unwanted side effects like them bombarding me with marketing stuff or anything. Let me know! I must re-read this, and will be surprised as I can never remember who the villain is (except for Murder on the Orient Express and The Murder of Roger Ackroyd). I always forget how funny Agatha Christie is too. Ha – there’s only half a dozen or so of them that I’ve read so often I actually remember whodunit, but with most of them I’m surprised each time too – it’s great! 😉 Yes, there’s a lot of humour in most of them and they tend to be the ones I like best. I am more of a Poirot fan than a Marple fan. 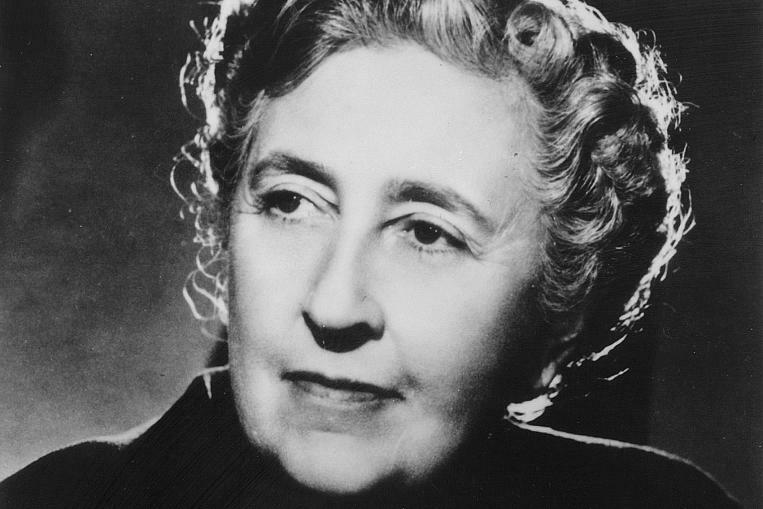 But I would be reading all of Agatha C’s works over many years. I’m glad you are able to enjoy it so much despite the unfair treatment of the maid. I can overlook things like that if it’s an otherwise enjoyable book – to a degree! 🙂 I’ve only read the one Miss Marple so I have this to look forward to! I once had a friend mentIon that she hated how Christie treated servants in her novels. At the time I couldn’t think of any examples, but of course this is one. Yes, I guess so, although she killed off plenty of other people, too. It’s interesting that newspapers indicate so much about a person. There are some key publications in the States that would tell me about a person–the New Yorker and the New York Times vs the kind of stuff they sell in line at the grocery story, but many of those are magazines. You wrote NEWSPAPERS. How many papers did/does the UK have?? Joan Hickson was my favourite TV Miss Marple – true, she wasn’t really fluffy enough in appearance, but she did have that finely tuned acerbic retort that I so liked from the books & thought was an integral part of the written character. TV adaptations of characters have a life of their own, and I’ve enjoyed all of the incarnations in their own right, probably carried along on the good plots. I really liked Julia Mackenzie’s interpretation, though I felt she was a little too young for the role. But I thought they messed with books too much, so they didn’t overtake the Joan Hickson versions as my favourites. I do think David Suchet is the ideal Poirot though – I have a hard time seeing anyone else in that role now. Absolutely one her finest 🙂 It is a shame about those occasional uncomfortable moments in Christie (and other writers of a similar era) where prejudices and remarks we now deem totally unacceptable creep in. Although, I suppose, it serves as a reminder that we must continue to ensure such views are challenged in our modern times.